A huge new patch dropped for Defiance today. Well, it's currently dropping, being dropped, in the sate of falling, whatever. I'm guessing Trion is trying to hook anyone who might decide to dive in after watching last night's television series debut. (I thought the show had some flaws, but I'd watch another episode.) To do this they'll need to fix some very rough spots in the game. Patch 1.010 went live this morning, caused some problems, and then it was pulled. According to the Defiance twitter feed it's back up now. Looks like the game was down for about 6-7 hours. Ouch. We had a Defiance Co-Op Review all ready to go this morning, but we decided to give the game another spin before we post our review. The patch is indeed substantial. The notes total about 3000 words, and you can read them in their entirety here. I included the co-op fixes after the break. General polish and bug fixes for all co-op and solo maps. Updated timing for several interactables. Updated fence collision in Scrapworks and Angel Island. Ammo caches found in boss rooms have updated visuals. Time goals for certain Co-op Map Pursuits have been updated. Scrapworks: Added Dark Matter force fields. Players can no longer use vehicles to combat the mini-boss in Explosions 101. Reorganized queue menu so that co-op maps are listed in the right order. Improved matchmaking for co-op maps. Players that enter a co-op map now get put where the leader is. Fixed quick match so players don’t get put in matches they aren’t eligible for. Co-op map prerequisites now appear in the queue menu. Players abandoning “Into the Depths” while in the Delta West area of Mount Tam will now be removed from the phase and sent to an extraction point. Fixed some pathing issues in the hulker fight in Soleptor Excavations. Something Wicked This Way Comes should no longer end prematurely if multiple players are doing the mission at the same time. Fixed an issue in Scrapworks Excavation that could cause the progenitor arm bottom heatsink to be obscured by its base. Fixed missing EGO voice overs during the Motherlode boss battle. Players who don’t contribute in co-op maps now appear on the results screen. Fixed some issues with the mini map in Cronkhite Bunker. Fixed an issues that caused some notifications to appear twice. I've been playing a decent amount of Defiance, and much like the show, it has its flaws, but is not without its charm. I can forgive some technical issues when 50 players are tackling an Arkfall, especially on the 360. Seasoned MMO players may be harder to impress. 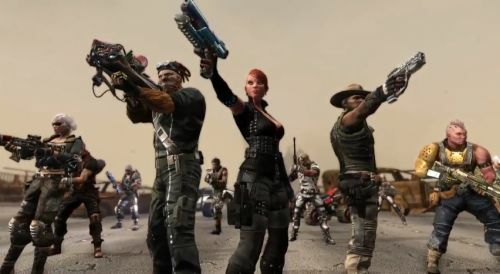 Defiance is out now on the Xbox 360, PlayStation 3, and PC. It's an MMO, allowing for a ridiculous amount of players to work together. Players can team up in groups of four to tackle co-op missions and the main campaign.